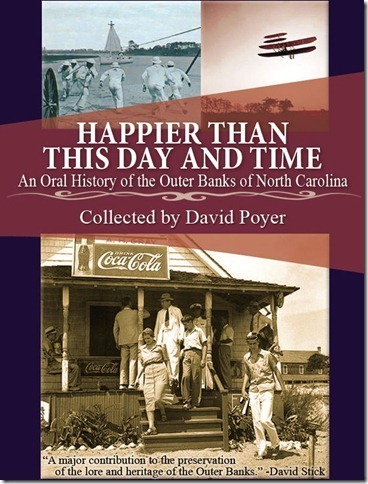 In Happier than this Day and Time, Poyer introduces us to eight individuals rooted in the Outer Banks of North Carolina. In this “Oral History,” we are taken to another time, another place, where real life voices are revisited. Conversations stem from interviews conducted in the late 1970s and early 1980s, with folks who look back on their isolation in the Outer Banks.